Pre-notched settings are a great and easy way to set faceted gemstones. A pre-notched setting has claws with little grooves (notches) already cut into them to save you time in having to create the notches yourself in clawed settings. 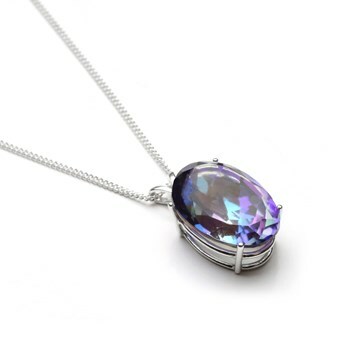 They are made so that the edges of your chosen faceted gemstone rest within the grooves and the stone is held securely in place. 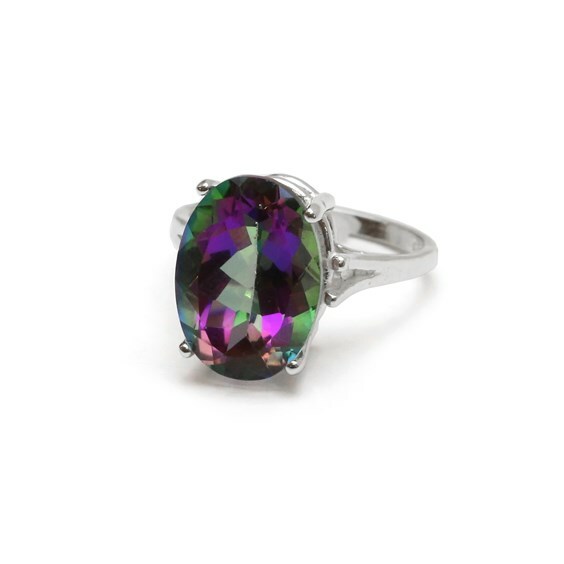 These wonderful settings show the gemstone off with maximum light coming through to the stone - adding extra sparkle. Our selection of pre-notched settings give you the options to create pendants, earrings and rings in either 925 sterling silver or 14ct yellow gold. This style of setting comes in a variety of different sizes and with different connector fastenings. 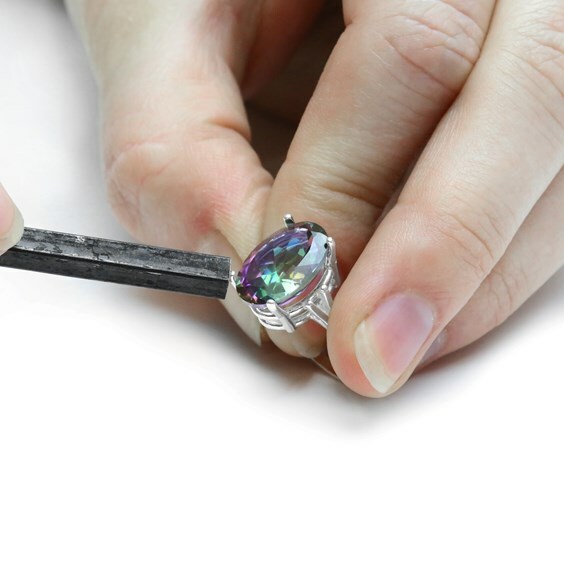 Here we show you how to set a faceted gemstone in a pre-notched setting with easy to follow, pictured step-by-step instructions. Pusher - to allow you to easily 'push the claws' exactly where they need to be. Additional Tools that will allow you to get an extra neat finish but are not essential include needle files and polishing papers. Pre-notched setting - select the relevant setting for your design. Faceted stone - select the correct size stone for the setting, on our website you can search our faceted gemstone collection by size or colour. 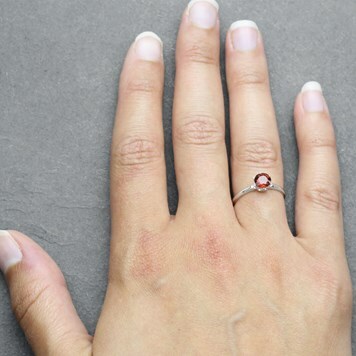 Place your chosen faceted stone into the setting - it is common at this stage to need to open the prongs a little wider so the stone goes in easily. Use some snipe nose pliers to gently push a couple of the prongs open a little wider. When the stone is in the setting ensure that the outside edge of the stone is sitting within the grooves (this is the 'pre-notched' bit) of the prongs. Make sure that the setting is a good fit and the stone does't rattle about too much. 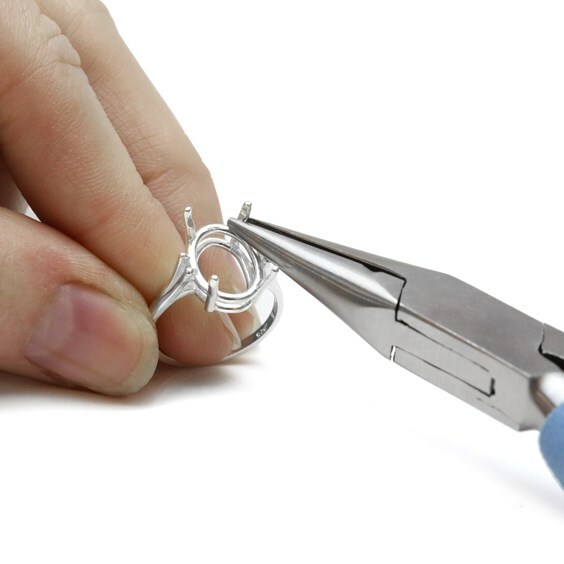 If it is a little loose you may need to just gently adjust one or two of the prongs by using your pusher to push them closer to the stone and hold it tight. 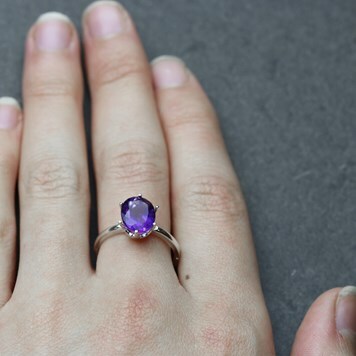 Use your pusher to gently push the prongs over the top of the gemstone, being careful not to mark the stone or bend one prong more than others causing the stone to sit off centre. 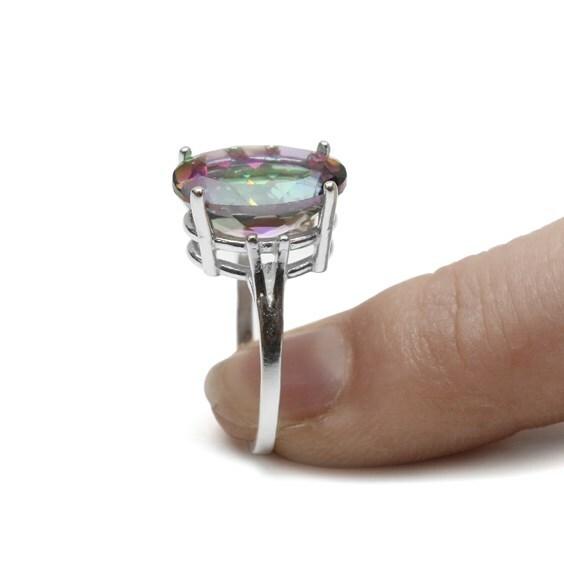 We recommend working your way around the setting by pushing opposite prongs, adjusting a little bit each time to make sure that there is even pressure across the top of the stone and that the stone is held nice and securely. Your design is now finished! If you have made a few marks on the metal whilst pushing the prongs over the stone you can us a flat needle file to make each prong nice and tidy. Here are some examples of our pre-notched settings with a selection of our gemstones set in them. Click on any of images to view the setting.